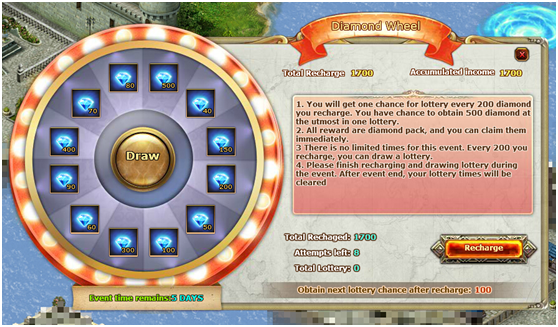 You will get one lottery draw when recharge every 200 diamonds. All rewards are diamond pack. You can claim them immediately. After event ends, your lottery times will be cleared. 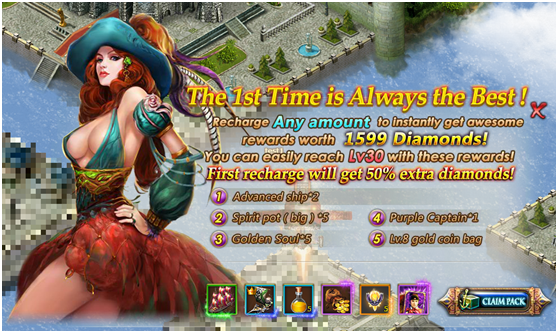 First Recharge will get 50% extra diamonds+ rewards worth 1599 Diamonds! 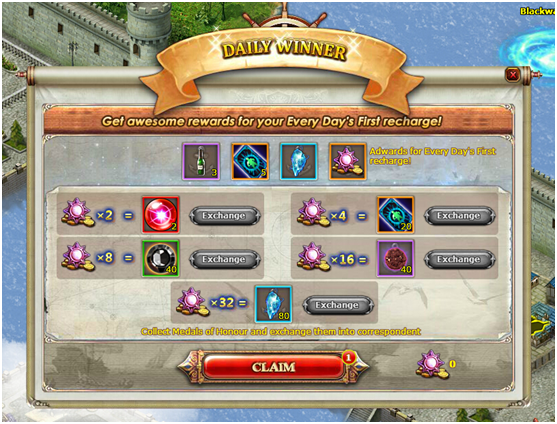 Player can get rewards by every day's first recharge. 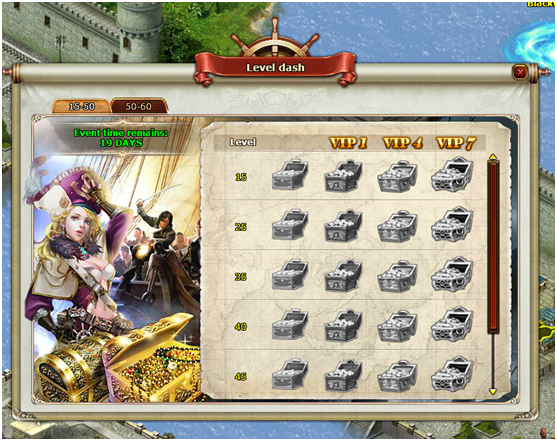 You will get rewards when reach corresponding level. VIP rewards are more valuable. Level up every 2 level of your character after Lvl. 50, you will get great rewards.